When it's sophisticated party time, you need to play the part the right way with Manzini designer dinner jackets and blazers. Manzini makes all of those head turning designer blazers that you see the well dressed Celebrities rocking on Red Carpet night. 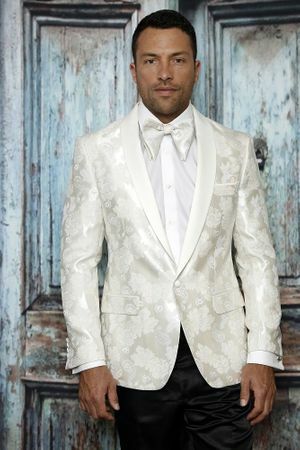 This designer fitted paisley blazer has cream and floral design that will let you shine and get you noticed in a good way. It's modern fit will just look great on you with it's tailored fit.